Both Gramayre and Leith are small kennels. We seldom have more than one litter per year. We started out as independant preservation breeders, but we quickly found that we had similar ideas and philosphies on our breeding programs. We began to C0-Breed many of our litters, allowing us to draw from a larger genetic pool than if we were working independant from each other. 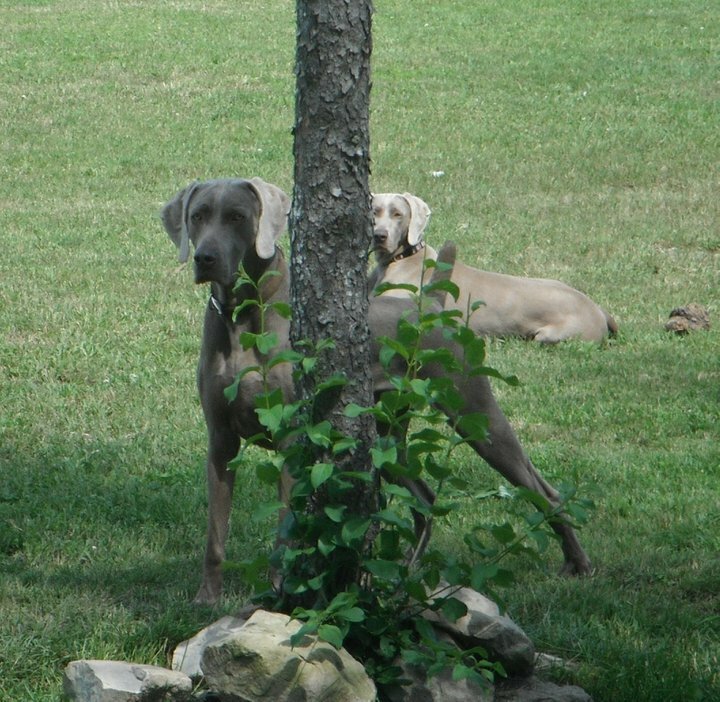 Now located in Ontario, we started our journey into Weims in Manitoba with our first Weimaraner, Shammy. We have been heavily involved in the Weimaraner Association of Canada over the years and are current members of the Canadian Kennel Club and the Weimaraner Club of America. We compete in conformation, and have put titles on our dogs in other venues such as Hunting, Agility and Retrieving. Located in Alberta, we started our life with Weims in 1998 with our first Weimaraner, Sage. Sage became the #1 Weimaraner in Canada and took us on a wonderful journey. Our dogs continue to compete in Conformation, Agility and Obedience. We are current members of the Canadian Kennel Club, the Weimaraner Club of America and the Weimaraner Association of Canada.